Managing a consumer product category requires a great deal of planning and organization. Retail channels mean scattered points-of-sale, different shopper profiles, and a lot of information to be processed in order to get not only key performance indicators but also customer behavior insights. That is why retail audit software adoption has taken off among manufacturers, distributors, and sales and marketing agencies: Right from the get-go, it eliminates clumsy paperwork and inefficient data transcription. 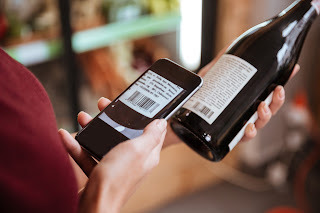 Tasks - Customization of in-store tasks is fundamental in order to allow for geographical and behavioral shopper differences, as well as for adjusting the metrics being evaluated for the products at the store level. Product distribution - The ability to customize the product distribution list or must-stock-list (MSL) by store or group of stores is one of the great advantages of retail audit software such as VisitBasis. With that feature, when reps check the products at the store level, they only see the SKUs available at each store, reducing the possibility of errors and the time taken to perform tasks. Reports - VisitBasis also makes it easy and straightforward to run reports on in-store audit results. Also, since there is immediate access to the data collected at the store, reports can be created as often as possible in order to assess the effectiveness of advertising and promotions. Want to learn how to streamline checking your products at the store level with VisitBasis? Go to www.visitbasis.com and sign up for a free trial or schedule an online demo.